1.Go to Page and click on the Trashcan icon. 2. 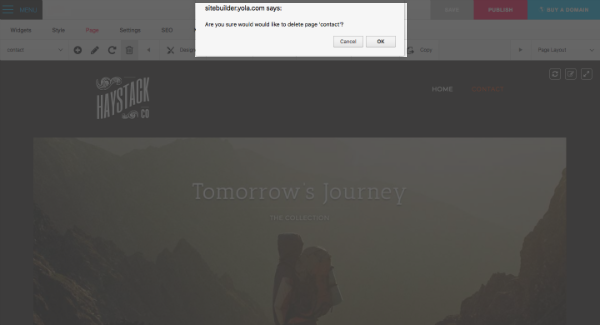 In the dialog box that opens, confirm that you want to delete the page by clicking OK.